For years, athletes around the world have managed to amaze us with the extent to which they are able to push their physical selves, and David Beckham is one such athlete who is inarguably considered one of the best footballers to have ever existed. However, when the world discovered that Beckham is slightly asthmatic, thanks to a photograph showing the athlete using an inhaler, questions started emerging from around the world about how the football star had managed to excel at a sport that requires outwardly stamina with his condition. David Beckham can be considered the first footballer who became a global brand. Football (or soccer, as Americans prefer to call it) is one of the most strenuous sports in the world, requiring players to show optimal fitness in order to deliver exceptional performance on the field. In order to excel, one requirement of the sport is exceptional stamina, which is obviously difficult to achieve for an individual who has asthma, a condition in the respiratory system which makes it difficult for the sufferer to breathe normally. According to Beckham, his case of asthma is not a very serious one, and that is why he has been able to manage it without any impact on his performance as a footballer. Still, the fact that he managed to break records as a footballer while having such a physical limitation, no matter how minute, is definitely very inspirational for all who are living with such conditions. Beckham’s exceptional footballing skills are remembered even today, years after he retired from professional football. However, there is a secret to how Beckham was able to manage his asthma in such a seemingly effortless way, and it has finally come out almost a decade after we first came to know of his condition. Apparently, a lot of credit goes to the healthy diet which Beckham had been consuming, at least according to a research study conducted at Paris University that has established a direct connection between a healthy diet and better asthma management and control. As revealed by the lead researcher of this study, Roland Andrianasolo, the perfect diet for asthma patients is one that contains mostly fruits and vegetables, and also foods that are rich in fiber. The study does not specify the fruits or vegetables, or the exact nutrients, which need to be consumed by people with asthma to better manage their condition. Instead, it simply encourages people to have a lifestyle that encourages them to make healthier choices when it comes to the food they eat on a daily basis. 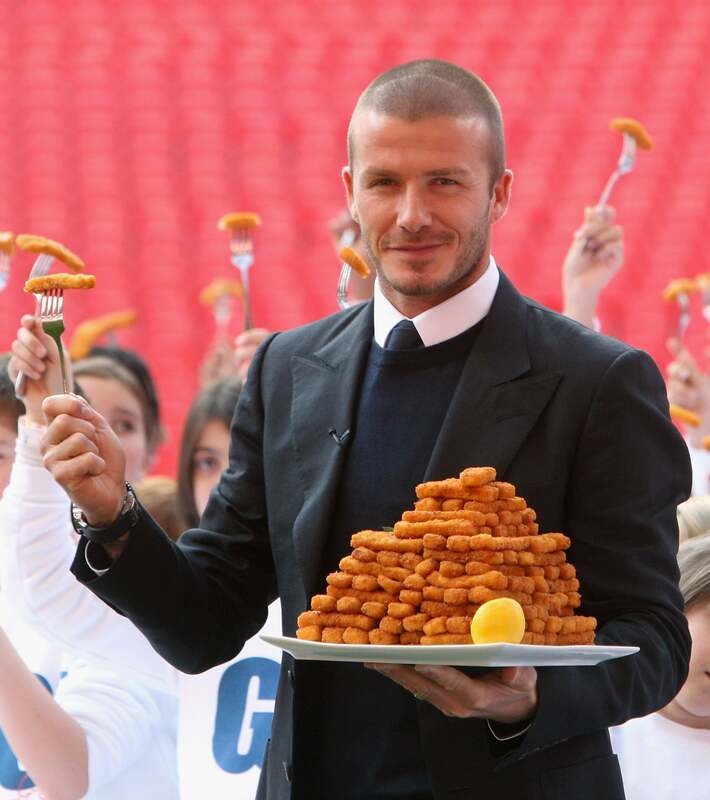 While there are many ways to manage asthma, Beckham has apparently been able to do it with a healthy diet. On the other hand, the study also revealed that too much salt or meat is detrimental to the health of asthma patients. But since Beckham needed to eat protein to fulfill his body’s requirement, something which was especially important during his professional days, he would consume only lean meats. Also, as per reports, the footballer consumes a lot of leafy vegetables, and also beans (which are also a great source of protein). To fulfill his fat requirement, he reportedly turns to yogurt or olive oil. No doubt, his diet is definitely well-aligned with the report released by Paris University, which is probably how he had been able to show exceptional performance as a footballer even with asthma.